Offering you a complete choice of products which include mobile bulk filling station and cement filling station. Mobile Bulk Filling Station offered comes in precision designed and construction finish and comes supported by the automatic filling system & weighing balance, automatic rolling conveyor and electric control cabinet support among others. These filling stations come with trolley mounted hopper storage arrangement as well as built-in onset so as to provide for consistent performance. 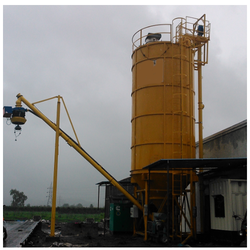 We hold expertise in manufacturing and supplying a superior quality range of Cement Filling Station. Looking for Filling Station ?